The Likely Suspects: If Speedweeks is any indication of what we'll see on Sunday, then we're in for a great race as well as a few dust-ups between drivers. For me, the Daytona 500 is like a really good thriller where you never know what's going to happen or how it's going to end. It's not easy but anyone can win this race -- a rookie, a superstar or even a relative unknown. These factors make fantasy picking a nightmare. For my picks I'll focus on who performed well during Speedweeks, who traditionally performs well at Daytona and who has buddies on the track for help during pack drafting. My Daytona fantasy elite include: Dale Earnhardt Jr., Matt Kenseth, Jimmie Johnson, Kevin Harvick, Jeff Gordon and Denny Hamlin. My 2 Cents: My advice this week is two-fold: Don't agonize about picking the winner and don't fall for the sentimental favorite without considering driver performance. Otherwise we'll all be wanting to pick Jeff Gordon for all the races in his final season. 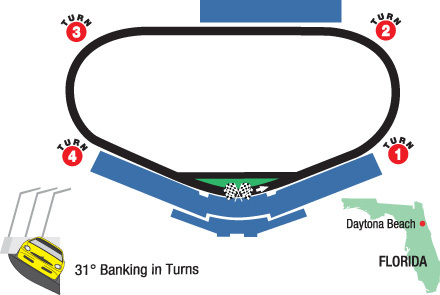 If you aren't sure about your Daytona picks, hovering around the Joe Gibbs Racing stable is never a bad thing because JGR has this track figured out. My no-brainer pick is Dale Earnhardt Jr. He leads all active drivers in Daytona 500 top-five finishes with seven (eighth most all-time) and has four runner-up finishes, tying him with NASCAR Hall of Famer Cale Yarborough. I'm very tempted to choose polesitter Jeff Gordon, but Matt Kenseth is stellar here, is coming off the Sprint Unlimited win, and is one of JGR's drivers -- my fantasy trifecta. He's starting way in the back though so keep that in mind when making your final picks. My next picks are Greg Biffle, the often-overlooked Ricky Stenhouse Jr., Carl Edwards and Martin Truex Jr., who has been crazy fast during Speedweeks. I will round out my fantasy team with Danica Patrick and Ty Dillon, who no doubt will be drafting the pack with his brother Austin. My final roster is Dale Earnhardt Jr., Carl Edwards, Martin Truex Jr. and Danica Patrick.